Hey, babes! Have you heard of Witch Baby yet? I've been a fan for a little over a year now, but just recently dove into the bath products. Since moving into a new place, I've been taking baths about twice a week to relax and unwind. This is my first bath potion so I had to document my experience. Keep on reading for all the good stuff! If you follow me on Instagram (ashleyeileen_) or Snapchat (ashley.eileen), you might have seen my latest Witch Baby haul. I had to stock up during the spring release. I knew I'd love the Bless Your Black Heart scent of sweet tea and lemon so I grabbed the body butter, soap, and three bombs. I'll have a post up about that later on. I just wanted to share the whole shebang. 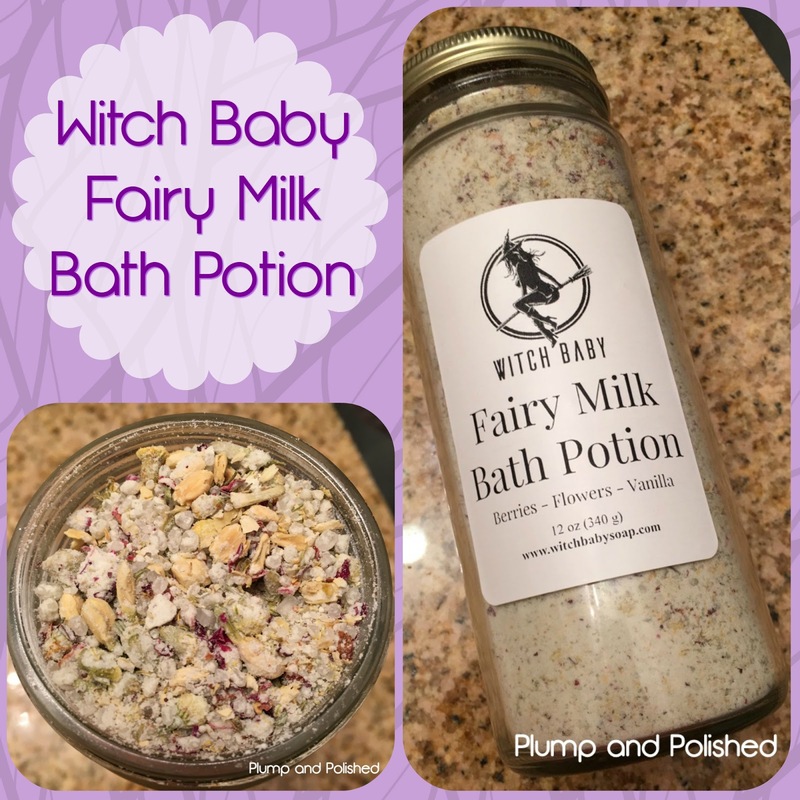 Fairy Milk Bath Potion is the first of many Witch Baby Bath Potions. It’s a super luxurious bath time treat fit for your inner fairy queen. It’s 100% vegan made with nourishing coconut milk, detoxifying Epsom salt, and skin softening baking soda. 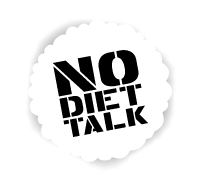 It is hand blended with dried jasmine, chamomile, and roses. 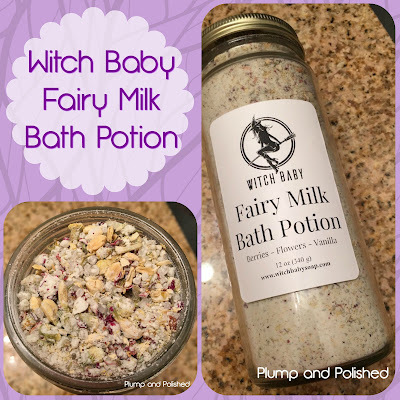 Fairy Milk Bath Potion produces light bubbles and leaves your skin feeling silky soft. It smells of juicy berries and spring time flowers just how the fairies like it. The jar says to use 3-4 capfuls, but I found it a little hard to use the cap because it's really shallow. Instead, I used two palm-fuls of Fairy Milk. I found this to be plenty of potion for a full bath. I sprinkled it in under the running tap and had good results. The scent was amazing. A little sweet, but lightly floral. I follow Witch Baby on IG and Snapchat and have seen her add the potion to the bath before running the water. It's up to you. There's really no wrong way to use it. The bathwater turned a nice milky white with floating flower buds and leaves. I really felt like it was a fairy bath. The coconut milk made this bath really nourishing and moisturizing for the skin. It left me so soft and smelling sweet. This is the jar after one use. It didn't take a lot of product for a nice effect. I'll get quite a few baths out of this. I actually share this with a few friends. I love when a product is large enough to spread the love! I can't wait to try a different scent next time! Be prepared to wipe out your tub when you're done. As you can see, some of the petals and bits stick to the sides of the tub. The buds and leaves won't go down the drain; you'll need to clean those out, too. Honestly, it's not that big of a deal, but I wanted to prepare you for the end result. Witch Baby Fairy Milk Bath Potion is $20.00 USD plus shipping.